Last year a coalition of Canadian ISPs and movie industry companies called for a Canadian site-blocking regime. This plan triggered a fair amount of pushback. Law professor Michael Geist was among the most vocal opponents. He warned of potential overblocking and feared that VPN services could become the next target. “Once the list of piracy sites (whatever the standard) is addressed, it is very likely that the Bell coalition will turn its attention to other sites and services such as virtual private networks (VPNs),” Geist wrote. The site-blocking scheme was eventually rejected by the Canadian telecoms regulator CRTC. However, it turns out that professor Geist’s warning wasn’t as far-fetched as some claimed. Bell Canada Enterprises (BCE), which is both a media company and one of the largest ISPs, did indeed ask Government to take action against certain VPN services. This wasn’t done as part of the site blocking plans but in Bell’s recommendations on the NAFTA negotiations in 2017. This submission wasn’t made public at the time. However, the Wire Report (paywall) obtained a copy through an Access to Information request, which reveals that Bell requested a ban of some VPN services. 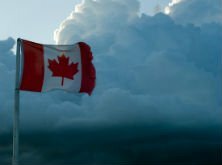 “The Canadian cultural industry has long been significantly harmed by the use of virtual-private-network (VPN) services, which facilitate the circumvention of technological protection measures put in place to respect copyright ownership in other jurisdictions such as Canada,” the submission read. The language appears to be focused on VPNs which are used to bypass geo-blocking efforts. For example, when Canadians use a VPN to access the US version of Netflix, which may have a larger content library. This harms Canada both economically and culturally, Bell warned the government. The company, therefore, hoped that these VPNs would be outlawed under the NAFTA trade deal. “Canada should seek rules in NAFTA that require each party to explicitly make it unlawful to offer a VPN service used for the purpose of circumventing copyright,” the submission clarified. The recommendation didn’t make it into the new trade deal between United States, Mexico and Canada Agreement (USMCA). However, it clearly shows that VPNs are seen as a problem by rightsholders and that a ban on these type of services is considered. Interestingly, this isn’t the first time the issue has been brought to the attention of the Canadian Government. In 2015, officials from the Department of Canadian Heritage mentioned “copyright infringement using VPNs” as one of the emerging issues. For now, there is no sign that problematic VPNs will be outlawed anytime soon. But, since Bell and others continue to push for site blocking, it wouldn’t be a big surprise if ‘infringing’ VPNs remain on the radar as well. Bell is still hoping to get site-blocking implemented in Canada. The company has called for this as part of the ongoing copyright review and the broadcast and telecom review. Considering this recent push, professor Geist warns that a possible VPN ban is still something to be wary of.